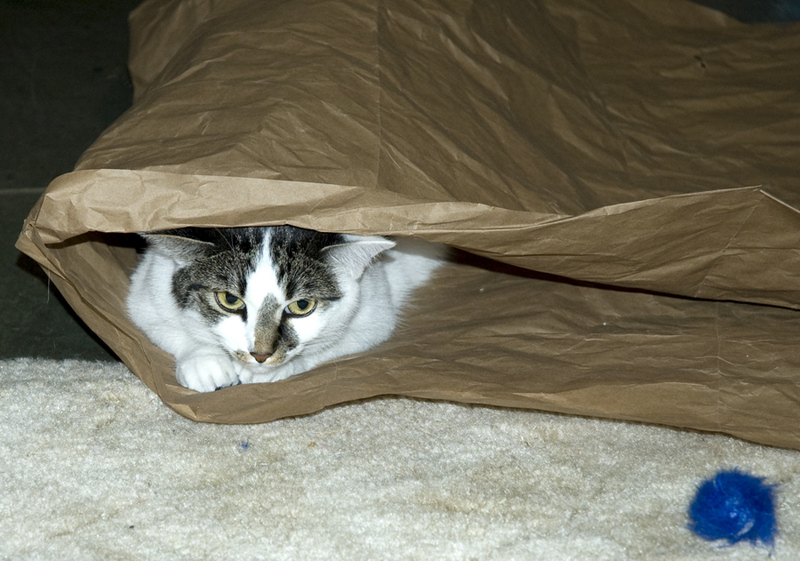 Sometimes bad things happen to good kittens so they have to seek refuge in their brown paper tent. I collected all of the cat toys and put them in the owl bin. I also picked up all the scrap bits from the floor. These are all deposited in the black bin until I sort them by color. 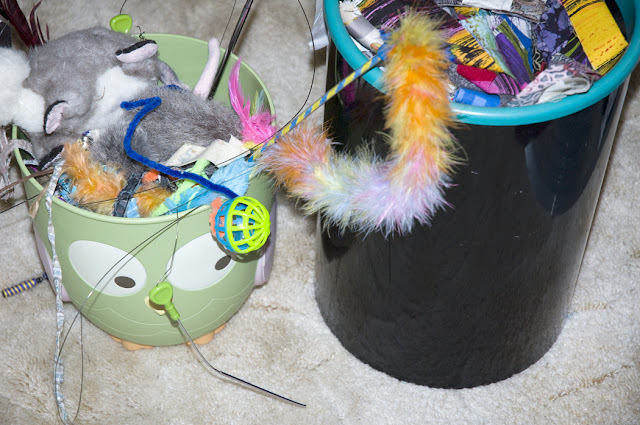 And yes, kittens are right to be upset when the cat toy bin is smaller than the scrap bin. 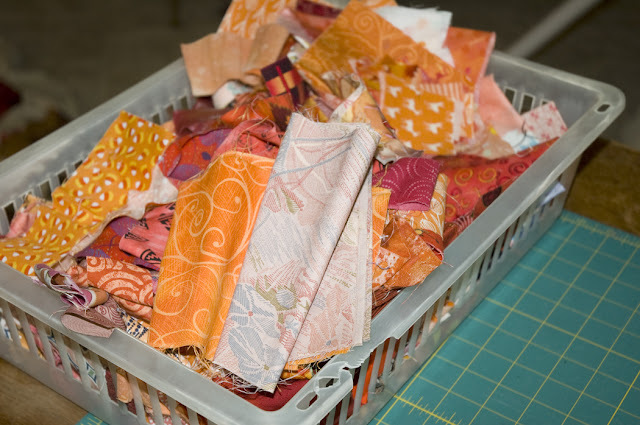 Here is what is waiting for me in my tray of orange scraps...waiting for the launch of orange for the Rainbow Scrappy Challenge. Right! One for each one of us!